I had this keyboard for about 3 days now, and as my first mechanical keyboard I have very few complaints. I just want to keep typing everything on it as its such an improvement over my last membrane keyboard. my only complaints about it are the fact that some keys don't allow the led to shine all the way through, and the inconsistency of the rubber feet, where one side is more 'sticky' than the other side. but aside from those cons I love everything else about it. The abundance of different things you can do with the led's is a great aspect. Have had this keyboard for six months and I absolutely love it. The switches are flawless. The RGB backlighting is perfect. The PBT keys feel wonderful. I have considered several time upgrading to some DSA styled keycaps and have never pulled the trigger because these feel so great I can't come up with an excuse better than aesthetics (although that is sometimes the only excuse needed). I wish I could add some effects to the saved presets for example pulsing. My one gripe is that the new 1.04 firmware doesn't seem to work? I am not getting any media key functioning it and I've reinstalled in several time. Not sure what the issue is there. Pretty great keyboard overall, it's built excellently and it really is enjoyable to type on. I was always a big fan of the Shine 3, so the fact that this keyboard exists make me very happy. Don't let the different switches deter you though, they feel just as good as cherry. IMHO, this is the best LED keyboard in the world! Let me explain why. First of all, it's a mechanical keyboard using KBT brand (GreeTech OEM) switches, which are Cherry clones that are actually BETTER than the Cherry's. This is because they are less prone to "spring ping" than the Cherry's, as noted in the independent pro video review posted here at MK. Look at the numerous forums to see lots of discussion about the Cherry spring ping problem. Otherwise, the KBT's match their counterpart Cherry keypress characteristics beautifully, though to me they have a "cleaner" sound and feel (the Cherry Browns seem "loose" and therefore "clackety"). 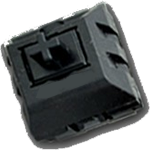 Though the GreeTech's are made in China as opposed to the German made Cherry's, they are high end with every certification in the book (such as ISO9001 and others), with their switches having the same certified 50,000,000 keypress rating as the Cherry's. 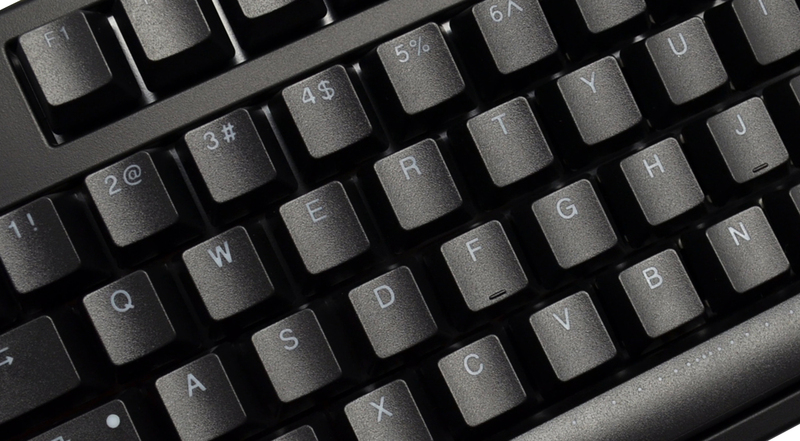 Keyboards using Cherry or Cherry clone RGB LED switches, will only strongly illuminate along the TOPS of the keys, requiring then "side-by-side" layout of the two characters for any dual character keys in order to achieve even illumination for both. This keyboard (its presently shipped version) uses this side-by-side layout for all of its dual character keys. These appear to be designed to separate the two characters as much as possible to yield a clean look, but not so far that the illumination would be reduced relative to the centrally placed single characters of the single character keys (best side-by-side layout I've seen). On the other hand, the traditional qwerty "over-under" dual character layout suffers from dramatically uneven illumination, where in order to have the bottom characters barely visible, the top characters are so bright they are uncomfortable to look at. So side-by-side dual character layout is the ONLY way to go when using Cherry design switches. The keyboard itself is made by Ducky as the OEM, so its build quality is top notch. It has a solid feel, with a switch plate that is pretty quiet when the keys are pressed (see the forums about some manufacturers noisy switch plates that aren't well mounted/dampened). The presently shipped version comes with double shot ABS keys standard, which I think are quieter than PBTs. Some folks reviewing this keyboard would like it to have more RGB LED lighting modes (though the updated firmware has added some modes). But most adult workers and gamers want the illumination to be FIXED, since they do not want to be distracted by the keyboard during working and competitive gaming. The RGB single color mode to provide an adjustable single color and brightness, combined with the two CM modes for specific game/work enhancement of certain keys, is all that's really necessary. Many gaming keyboards have macro capability, but experienced gamers and workers prefer to use 3rd party macro software (though running macros for many online games is considered cheating), with tons of excellent freeware available for this. So MK's choice to not include macros is a good one. Another good choice is the avoidance of using software, since not having additional software running in the background is a plus during high speed gaming such as online FPSs. Note there is some excess bleed under the front of the spacebar, but one of the CM modes can be used to reduce the spacebar brightness some while still using the same color as the rest of the keyboard, yielding excellent overall illumination. What makes this keyboard the best is that IMO essentially all of the right design and component choices were made, as detailed above. It's clear Mechanical Keyboards knows what it is doing. The only negative, a minor one, is the lack of a rubberized surface for the "flip out" rear feet if you want the back to be elevated, making the keyboard a little more slippery than I would like, and transmitting a little more sound into the table it rests on (increasing the sound). But gluing some (split down the length) thick neoprene rubber tubing around the bottoms of these feet will fix that. This keyboard is sub-par for the price. Many of the key's back-lighting doesn't shine through properly. The rubber feet on the back are inconsistent. 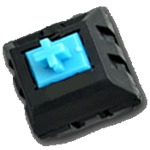 The blue switches make a spring noise after they are pressed. $120 for a TKL backlit. I really expected more. I have a sub-$40 Redragon K552-N at work. It's a far better bang-for-buck keyboard. After about 5 days of use, this keyboard lived up to my expectations and more. If you desire cherry mx keycaps and switches; this keyboard can handle it. Also, it is advised that you flip the space bar; it will remove the "sticky space bar" and feel more ergonomic. Just search youtube. The LEDs are bright, and very much capable of customization. My only gripe is that the double shot keys tend to have "thicker" backing (IE: The LED light does not show through fully in some keys). All in all, this is a kickass keyboard that will probably last longer than your flesh and blood life. okay so, this keyboard. THIS keyboard is very well built. its heavy and sturdy like a keyboard should be. the rgb is great. it does take some time to figure out the lighting setups etc. but when you understand it, its a blast to use.the switches feel amazing as well. i was worried tbh before getting them but seriously they feel just like cherry mx switches. GET THIS KEYBOARD. for the price you honestly cant beat it. This keyboard is amazing! The keycaps are already switched to the Ducky ones, and the browns feel amazing! 1. In my instance, the keyboard cannot stay fixed on its "legs", when they are on: the left side slides on table and you can feel that the keyboard has 3 points of contact with table, not four. When "legs" are off then everything is fine, the keyboard is very stable on table. 2. RGB colors do not match to my Ducky Shine 5. They are just not the same. Missing a really tender peach hue from Ducky but at the same time it has an excellent blue-ish color. 3. 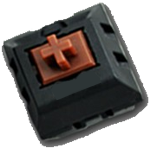 The biggest issue of this keyboard for me are switches (I did the following test with the keycaps off): the moving part of the switch that goes down and up - let's call it 'X' for the reference - can also move by other axis, so when you press X it may relatively easy go to the other sides. So the X rubs the fixed part of the switch. It feels very awkward and not smooth. For example, I have a 6-key tester and the X part there is stable, i.e. it goes strictly up/down, no orthogonal movement is possible. This creates a very smooth, pleasant tactile feeling, when you concentrate on the switch type action itself, rather than on X rubbing the switch around. In fact, the same is applicable to Ducky Shine 5. I wonder if they build testers with some special, high quality switches. Pleased with the build quality and customizability of the lighting. Shipped fast with good packaging. I love this guy, every day that I turn on my computer I get excited to see those lights. This keyboard is amazing if your worried about it not being cherry mx switches, don't be they are just as high quality. This keyboard has made me fall in love with mechanical keyboards. MechanicalKeyboards.com has the best customer service and will go beyond expectations when you need assistance. If you don't have a mechanical keyboard this is the one to get! I wanted some more space on my desk and decided to get a TKL. Had good luck with MK and Ducky so decided to give it a try. My other KB had MX Browns, so I was hoping that the KBT ones felt the same. Well I am not a pro but I do like the feel of them. Overall the Disco is made really well, sturdy and nice to type on. Feels as solid as the Deck Hassium Pro I was using before. The key caps while ABS, have a nice texture and feel so I don't plan on replacing them for awhile. BTW, Mechanical Keyboards is my go to shop for keyboards. with fast shipping and great customer service. Ok, so this is the first non-Kailh MX-Brown, and even though I've only had Cherry Blue switches, I still did not think these switches were going to be this good. The construction and features of the board is perfect as well. I would have preferred less stylized fonts on the keycaps, but the quality is very good nonetheless and does not matter that much. The keyboard is a bargain. A perfect one at that. I have used multiple mechanical keyboard ranging from more standard brand names to the hidden gems like this keyboard. My experience with this keyboard has been fantastic to say the least the rgb lights are good the KBT switches are unreal the stem has little to no play the click is audible and precise and to be accurate among all the switches and I would go on to say feel better than cherry blues. The stock keycaps are not the best but by no means bad and are more of middle of road cap. No imposing logos. For the money if your looking for a tkl rgb keyboard I really don't think you can do any better then the MK Disco TKL. Overall a nice board. I didn't much care for the caps but replaced them with some white PBT caps. Only downside to that has been that red O-rings are not working properly: the keys don't seem to register properly with rings. I can live with the noise for now. The lights are great, and the customization options are pretty cool. It's certainly a good starter board or a good option if you want light customization options. My first mechanical keyboard, and I'm super impressed. Switches feel amazing, the backlighting options are fantastic, and it's slick looking. No garish logos, colours, or branding (except the Disco/Ducky spacebar keycaps). Gorgeous keyboard, extremely happy. This keyboard is awesome. Since it's TKL, it saves a lot of space. I have a Ducky Shine 5. Comparing this keyboard to the Shine 5, it's basically a TKL version of that. Afterall, this keyboard was manufactured by Ducky. The build quality is superb, I think it's actually heavier than my Razer keyboard. There isn't as much lighting effects as the Shine 5, but with the lastest firmware update, there is an added ripple mode. I would still like to see the waterfall RGB effect that the Shine 5 has. Definitely get the extra ABS Doubleshot Keycaps - not only are they made by Ducky, but they sell for ~34$ on this website if you buy it seperately. The default keycaps that came with this will attract fingerprints and oil. The KBT Blue Switches are awesome. I would say they are smoother than Cherry Blues, and I also like typing on them more. Don't be discouraged by a knockoff switch - it works just as well. Even if they are KBT Blues, the keyboard don't use Costar stabilisers - it uses the Cherry stabilisers. Thus, replacing the keycaps is really easy and effortless. If you're looking to buy a TKL RGB Mechanical Keyboard, the MK Disco is your best option. For the price, you can't beat the awesome build quality and amazing customer service. Keyboard is fantastic. Definitely worth the price. The RGB have a great amount of options and look fantastic. $10 for better keycaps easily worth it IMO, they feel and sound awesome. KBT Browns are surprisingly good - I think I like them better than my Cherry MX Browns. For reference I also own a Max Keyboard Nighthawk X8 (cherry browns) and WASD V2 (also cherry browns). Bought this as a gaming keyboard, wanted TKL so hands could be closer together. Loving it so far, no complaints. Was well worth the wait - had to wait for the backorder for around a month or so. Just got my Disco last week. I own the ducky shine 5 and I have to say that I prefer the Disco over the DS 5. The switches are very high quality. I love this keyboard. You will too! Great keyboard for the price! I was fortunate to grab a Returned one which knocked $10 off the price. I contacted MK.com over the phone about this to find out why it was returned - the previous customer didn't realize it was tenkeyless! Great customer service, the gentleman was kind and helpful. He made sure I knew their warranty offer with this Returned keyboard. It arrived in brand new condition. I purchased the ABS keycaps set (Ducky brand caps/font/logo.) As others have said, they are totally worth the extra $10. I like the feel of these ABS caps over the stock ones. Don't get me wrong here - the stock ones are very nice but I like the textured feel over the smooth stock caps. I love this keyboard. I bring it to work to use there, and I bring it home to use at home. Bottom line, I am always using it. It doesn't have media keys, but you can easily add them by using AutoHotKey. I bought this twice, and the first time I didn't like using brown switches because they didn't have the click (former cherry mx Green user). However, I knew I needed something quieter at work, so I decided to try browns again. Now that I am used to them, I never want to type on anything else. The switches feel great, and the keyboard is incredible. Definitely order the extra double shot abs keys that they offer for a slight up-charge with this keyboard, they feel absolutely sublime, and they will spoil you. Order this keyboard. The switches feel great, the extra keycaps feel great, the size is great. This keyboard has ended my year long keyboard quest. I actually got a like-new returned keyboard. It was in great condition. Get this if you want a nice-feeling TKL board that has plenty of lighting options. The blue KBT switches are nice and loud. Get the extra doubleshot keycaps if you can--they have a much better texture than the stock ones. Replacing the keycaps was super easy. Extra DISCO spacebar was a nice touch. Super fast shipping to MO. 10/10 first mechanical keyboard experience, would clack back. Good keyboard, good features for price. Double shot keycaps make a world of typing difference. A more solid feel and lower profile. Came with a nice keycap puller and 2 spacebars, excluding the doubleshot one. Only cons would be the back of the keyboard was really dusty with debris of some sort, but nothing broken. Just waiting for the lighting/media control update & we gucci. Overall this is a great tkl keyboard. The lights work great and the build seems pretty good. Know the 4 star is because the spacebar is loud. For me my right side of the spacebar has a ping noise even when lightly touched (not even pressed). I will be almost always with a headset on so not a huge deal but I could see it being VERY annoying for long typing sessions. Just picked this up after using the Pok3r for the last 6 months or so as my daily driver. I enjoy the Pok3r, but with the lack of backlighting (Bought it before the LED version was available) and the fact that I frequently use my desktop late at night and in the dark I found myself looking around for another keyboard. I also realized how much I missed my arrow keys with the 61 key format and so the MK Disco was exactly what I've been looking for. The MX-Cherry Blues on my Pok3r felt great and I feel like the Blues on the Disco are pretty comparable, but definitely have a lighter actuation force than the Cherry switches and seem to be a little more "Clicky" than the Cherry's. I have found myself missing the PBT keycaps from my Pok3r (Non-LED version came with PBT) and I will be switching out the default ABS keycaps on the Disco shortly as they feel somewhat cheap to me. RGB on this keyboard is AWESOME, but I wish they had a few more pre-programmed modes right out the box. Hope that's just a firmware thing and will be added to in the future (fingers crossed). Overall I really like the keyboard as it fixes some of those annoyances I had with the Pok3r. If you're on the fence about the Disco or just can't make up your mind, go for it. It's a great keyboard. You won't regret it. Great board, the switches feel really good to type and game with. Just wanted to mention that they also included an extra spacebar that didn't have the the MK logo on it, that was a really nice touch wasn't expecting to get that when I ordered. Pic for reference of how the board looks with alternate spacebar. Definitely recommend for the price. What can I say? This keyboard is phenomenal. Everything feels meticulously hand-crafted and you can tell a lot of thought came through with the design and function. The minimalist looks are aesthetically pleasing and I have no doubts when I say that I feel like I have one of the best keyboards on the market right now, literally everyone that sees it wants one for themselves. (And for the price? Unbelievable). I also like the KBT Brown switches far more than the Cherry MX Brown switches. They feel more "crisp" and work very well with O-Rings. In addition to the keyboard itself, I emailed Mechanical Keyboards with some questions about this keyboard prior to purchase. Let me just say I have never been more a fan and will most certainly buy from these guys again. The team went above and beyond in answering my questions and even let me change shipping options beyond what was listed. So all in all, if you buy this keyboard, Win-Win-Win. You will get a great product for a great price, and you will be buying from a great business. 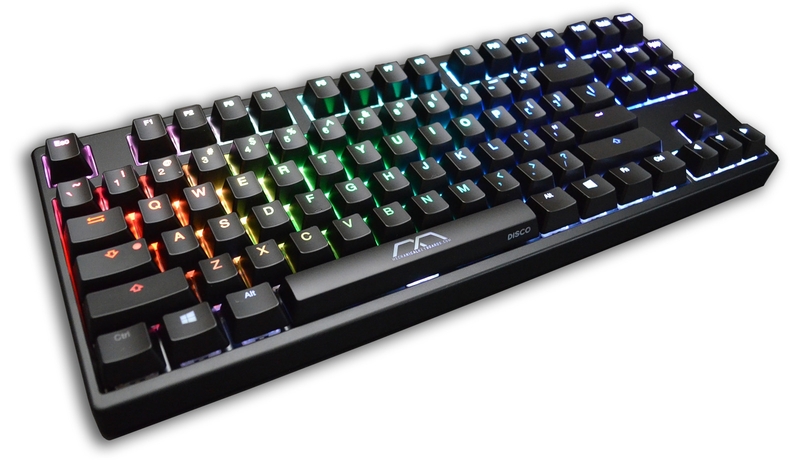 So if you're in the market for a TKL Mechanical Keyboard with RGB Lights? Buy this keyboard. You will not regret it. Your fingers and wallet will thank you, too. I really liked this keyboard but I wanted Double Shot keycaps. I ordered this a few weeks ago when that option wasn't available. It should've given that option from when it first dropped. Otherwise, I would've rated it 5 stars. If you are like me, you were likely concerned when you saw "KBT Red". I've never heard of such a brand before this keyboard, and frankly, I never want anything to with them again if this is what they're product consistently is. Within less than 6 hours of gaming on this keyboard the key I primarily play on is now chattering. I know that I put alot of abuse into my keyboards since I play osu! and am a rather skilled player, but these are mechanical switches. For them to break in literally less than 6 hours is absolutely mind boggling to me. Why did MK choose these switches? To lower the price? To allow for easier mass production? Overall I actually liked the switches. They were pleasant to use, but if they don't want to work consistently then I don't want to use them. The lighting system is exactly what is shown on the video. Less functionality compared to the Shine V as certain visual effects were missing, such as the pulse affect that travels down the keyboard, etc. Not sure why these were removed. It's not completely dead yet, and seems randomly reliable at times. But I don't imagine them testing the test of time. Overall I would warn you to stay away if you're a heavy typer or a rhythm gamer such as myself. This keyboard is amazing. I bought this keyboard for the RGB backlighting as well as the blue switches since the Cherry MX blue model of the Ducky Shine 5 was out of stock. Overall, it looks and feels as great as I expected. The backlighting is crisp and clear, and the KBT blue switches feel very similar to the Cherry blues. The click of the switch is slightly lower pitched but still extremely satisfying to type on. My only problem with this keyboard is the quality of the keycaps (too smooth for my liking, so I replaced them with the extra set of ABS doubleshot keys as it offers a bit more texture) and the lighting modes are not as diverse as what you would find in the Ducky Shine 5 (no snake/wave/ripple lighting effects as you type). However, for $120 I think it was a great purchase. If you are looking for a TKL RGB Ducky, this is it. Great keyboard. I wasn't sure how I would feel about non-Cherry browns, having never used anything but Cherry before. These feel almost identical to the Cherry browns in my Shine 4, but I think the tactility may be a bit more noticeable. I'm not a switch expert so it's hard to say. The sound of this board is also a bit clicker than my Shine 4, but that is probably due to bottoming out and not the keys themselves, which don't really make much noise when actuated. The lighting effects are somewhat limited but fun. I don't think I really need anything more than what they provide, though be aware that you won't have the level of customization you would with one of the mainstream "gaming" boards that require software. All lighting on this board (like the Duckys and most non-gaming company boards) is done on hardware only. Given the custom options you can change your layout to do a reasonable number of different things. The color picker (FN Spacebar or CAPS Spacebar when in recording mode) is a nice feature as well, so you don't have to manually create the color you're looking for all the time. The brightness is very good. They definitely don't lack for visibility. During the day, colors are noticeable, and at night I usually turn them down since they can get quite bright. This is my first TKL and overall I like it as much as I like my Shine 4, which I've moved to my work desk since I need the numpad. The build quality seems pretty solid (as far as I know it's made by Ducky so that's to be expected) and it arrived with no dead LEDs and everything in working order. The only issue I've had with this board is that one of the rubber feet is more slippery than the others for some reason, so one side of the board moves a bit on my desk if I'm getting a little intense during gaming sessions, but it hasn't been a huge hassle, and doesn't really happen while typing, so I'm not going to take off any points for it. This only occurs with the legs extended, which is how I usually prefer to setup my keyboard. If I put them down, it sits in place very well. So if you're a flat board type of person, you shouldn't have this issue. I also got some doubleshot white ABS translucent caps that MechanicalKeyboards.com was offering as a special with this board (found via a post from them on Reddit), and after e-mailing them about it, they gave me the discount several days after the board purchase since I wasn't aware of the promotion prior. They sent me a PayPal invoice and I think I had the keys two days later. Excellent service! They are definitely nicer feeling than the fairly standard stock caps, though not quite as "heavy" feeling as the PBT doubleshots from Vortex that I have on my Shine. The stock caps were just that - stock caps. Nothing special, but nothing wrong with them. I do appreciate that they don't have any secondary printing on them like the caps on my Shine 4. You learn the function commands very quickly so you don't really need pictures on all of the function keys. My Shine 4 stock keys felt cluttered with all of the extra pictures and text for the different lighting modes and commands. If you want a TKL RGB board, I would highly recommend this one. Don't be put off by the different switches. They're just as good as the Cherry browns in my opinion (maybe better), and the price for this thing is very good. I'd also have to recommend MK.com to everyone who wants to buy a keyboard or accessories at this point after my most recent interaction with them. I'll keep this somewhat short. This keyboard is completely amazing. The quality of the build is great, it looks great, and all the lights really make it fun to mess around with and customize it how you like. I also got Ducky White Key caps to go along with it and I couldn't be happier. Note: The KBT switches are great, and just as good as my roommates cherry red switches. If you are even somewhat interested in this keyboard: get it, you won't regret it. The price point for what you get is astounding. Excellent keyboard for a first timer or an enthusiast. Definitely a steal at this price. The KBT switches feel absolutely great and the leds are bright and shine through the board in a good way. Only thing lacking is the customization options of the ducky 5 ie reactive modes, etc. I personally enjoy these KBT browns better than the Cherry Browns. Subtle difference in feel, but the bump is slightly more pronounced with the KBT. Weight is nearly identical. For the price, absolutely outstanding. This is my first mechanical keyboard and it is fantastic. I am completely satisfied with it, especially for the price. 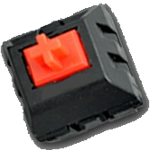 The red switches are amazing, and I love how easy to actuate they are, I can just "float" over the tops of the keys. The board also has a decent weight to it, and seemingly good durability. Cool keyboard! Totally worth the purchase. The only thing missing is media keys. However, I was told that in an firmware update, they should be implemented. Thanks for the great keyboard!